Happy World Card Making Day! It’s the best day of the year for us, right!?!?! And happy last day of Go for the Gold class! Have you shared the class with your friends? For folks who are new to my blog – my apologies for some functionality issues…I’ve hired an amazing team of designers to overhaul my site, and will relaunch all brand new and shiny in about a month, they tell me! (Though I’ll count on 2 months, because I know how these things go!) 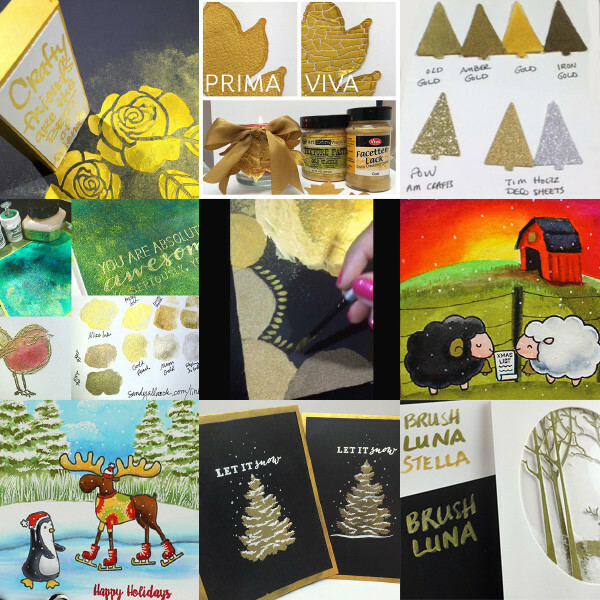 But if you want an easy way to go back and get an overview of my cards, try going through THIS Pinterest board – I pin everything from my blog in one place. You can also subscribe and get my top 7 design tips emailed to you….that’s got 21 of my most popular cards in it! If you missed some Periscopes, there are still some left over on my Katch page for a little more time. I leave them there for an extra 24-48 hours beyond the first 24 that Periscope leaves them up. 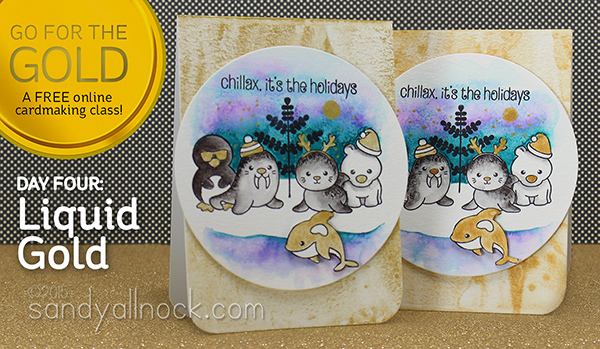 I’ll be scoping today from a special cardmaking party with some friends you might know – so stay tuned for the ringing of your phone in case they let me put them on camera! So enjoy this Day 7 lesson, and be sure to come back tomorrow for a class wrap-up with overall comparisons of the golds, and the list of winners. If you still want to take advantage of the sale, I’ve gone through the site to find a short list for you of gold items still available. GET ON THE NOTIFICATIONS LIST if you want some of the things that are out of stock. Just saying. Since this is the last day of class…which means there’s no time to order in supplies to use to enter the Inlinkz to win a prize….I figured I’d use something that lots of you already probably have – gold brush pens! 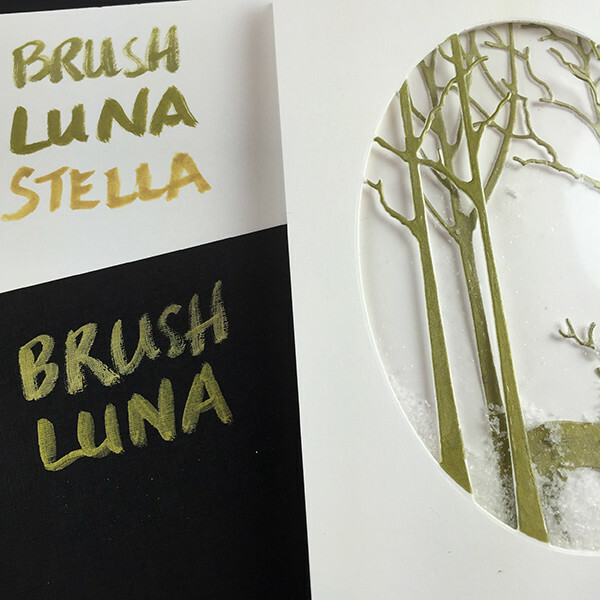 In this video I compare Kuretake Brush Pens to Zig Wink of Luna pens, and of course since this has been a cardmaking class, I had to make it a shaker card. 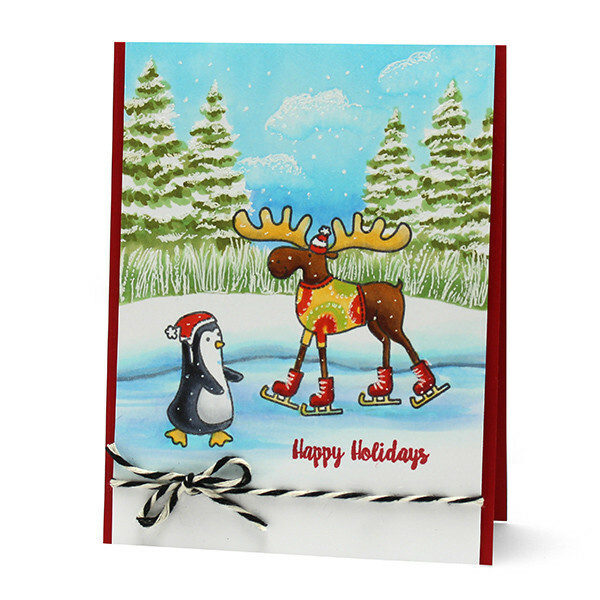 I don’t think any cardmaking class is complete without one! Watch the video below, or click HERE to see it in HD on YouTube! The two pens tested here seem to be very much alike – which does make sense since it’s the same manufacturer for both. The nibs seem to be the same, and the ink is close to the same; the Wink of Luna seems to be just a hair brighter, perhaps, but almost imperceptibly so. Today’s the last chance to enter to win the drawing for prizes….don’t forget that one prize will be awarded to someone commenting on a project entered into the Inlinkz too, so go visit the other participants! Be sure to enter HERE – and the prizes are listed on that page, as well as the full list of all the lessons in class. Thanks so much for joining me for this little golden adventure! Below are links to the supplies I’ve used for today’s project; click on the wording to go directly to the item. Most are on the 15% off sale during the live class, some are not. Affiliate links are used, which means if you make a purchase I receive a small commission at no extra cost to you. I truly appreciate your support toward the costs of running this blog! Read more. Save 15% on every in-stock item in the Go for the Gold category only! Shop today through Saturday, October 3rd, 2015 (midnight Pacific Time) and save. Upon checkout please type in the following coupon code: goforthegold – Not valid on prior purchases and cannot be combined with other coupon codes. 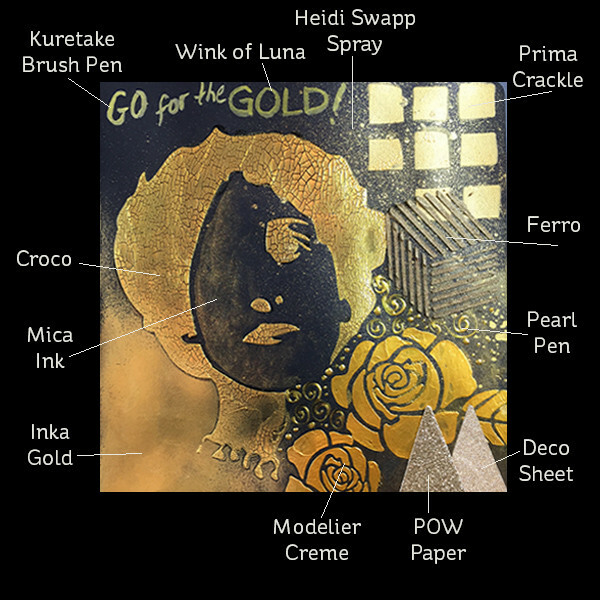 There are a few of the gold items from class left in stock as of Friday night: Croco, (Prima’s is HERE but is not part of the sale), Ferro is still available in a number of the more vintage colors, POW glitter paper, Stampendous Gold EP, Pearl Pen Set, Inka Gold, Wink of Luna. I seem to be channelling Bob Ross quite a bit lately…..so let’s see if we can use his help to make a tree. 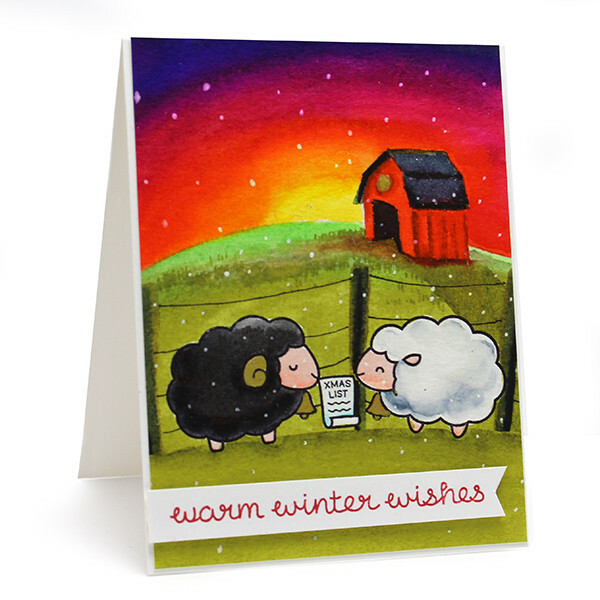 And use a little sheep’s help to make it twinkle! I have an issue with this Lawn Fawn stamp set. Because it’s called Baah Humbug! What a sad name for such a darling little set, right? LOL! 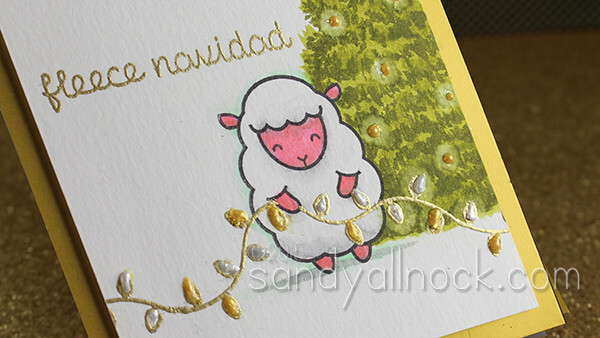 My little sheep is having lots of fun decorating for Christmas – and making it shiny gold and silver! (Cue the Burle Ives song!) To see how I drew the tree, watch the video below, or click HERE to watch in HD on YouTube! And Don’t you just love how the set of 3 Pearl Pens makes the lights look dimensional? Squee!! On Periscope today I did a little session on coloring with zigs – and the audience helped with deciding on the background! 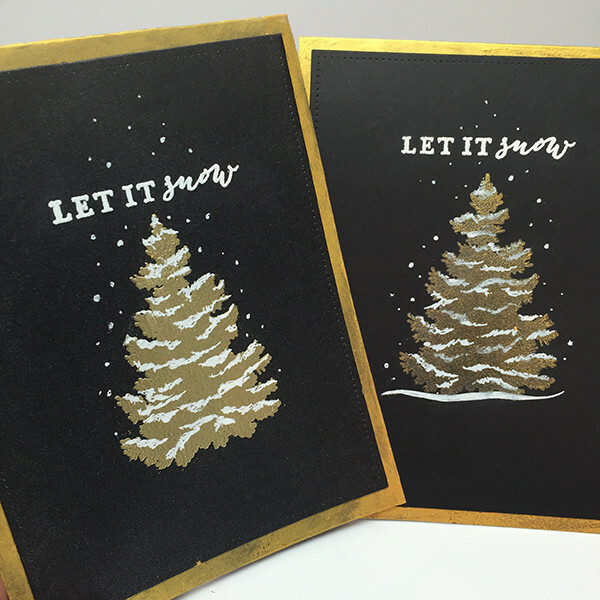 I hope some of you try out the tree on a card…I’d love to see us grow a forest of pines in the Inlinkz gallery for class! Liquid. Gold. Oh baby! Today I’m comparing two products that are just lovely gold in a jar…let’s get going on day four of the Go for the Gold class! There are a number of gold watercolors out there, but I picked two to try out. The Kuretake Gold Mica is a large (60ml) jar, and the Izink Gold is a smaller bottle (15ml) with a dropper. Both are high shine – so let’s put them to the test on a card! Watch the video below – or click HERE to see it in HD on YouTube! The Kuretake Gold Mica is a fairly traditional gold color – lots of shine, and works well on both colored and white cardstock. 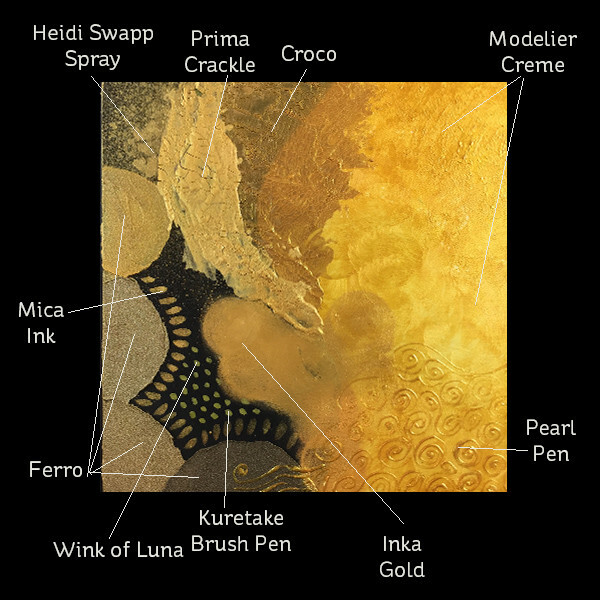 The Izink, which is a pigment ink – a cross of some sort between acrylic and watercolor properties – also has great shine, and comes in a more orangey gold color. 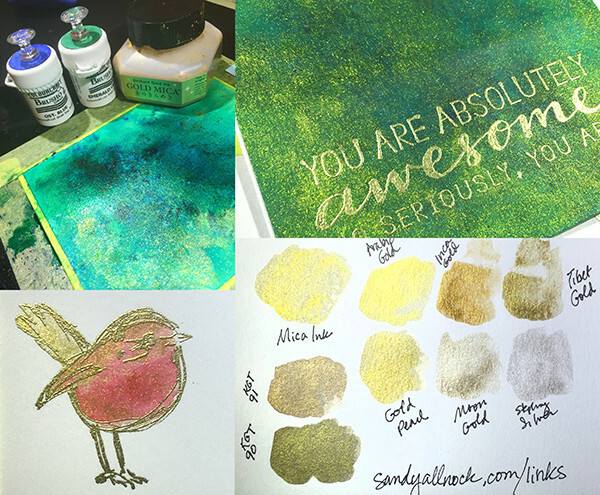 Izink stays fully put after it dries – so makes for lovely layering of colors overtop it. I made a post with a video all about Izink HERE. The Zig Clean Color pens used in this video are one of the most recent “crazes” out there – and if you’d like more on them, I have a playlist HERE where you can watch lots more Clean Color videos! On Periscope today, I shared in one video how I made the watercolored background by first painting the Mica then adding Brusho and spritzing with water. In a later broadcast, the testing of a few gold paints: Finetec watercolors, Kuretake watercolors (the set of 36 containst 2 golds), and Kuretake Mica Watercolor. Then some of the Dina Wakely birds were embossed in Stampendous gold, then sprinkled with Brusho too. If you need more info on Brusho, check out this Brusho post, and the Brusho bear post too!